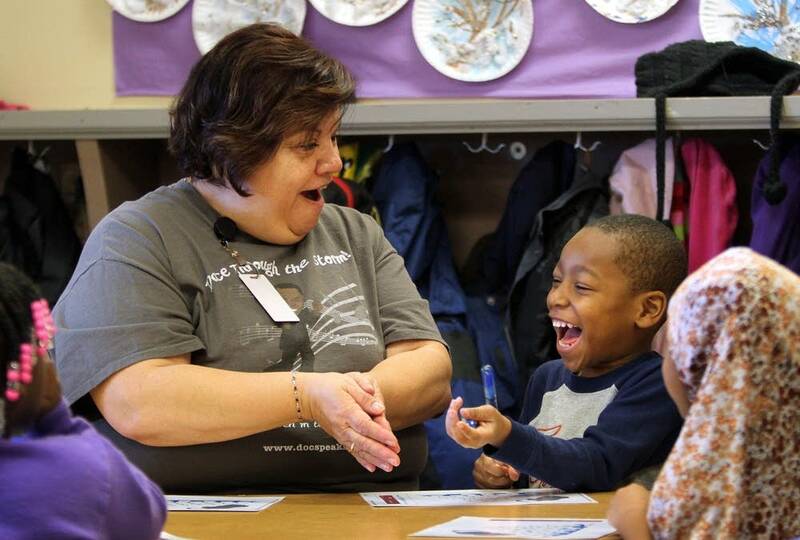 Many Minnesotans like to think that by offering quality classroom instruction starting in kindergarten, the state is ensuring that children can make it in life. But at the Bigelow Head Start program in St. Paul, learning comes much earlier, even at a restroom faucet that comes up to an adult's knee. 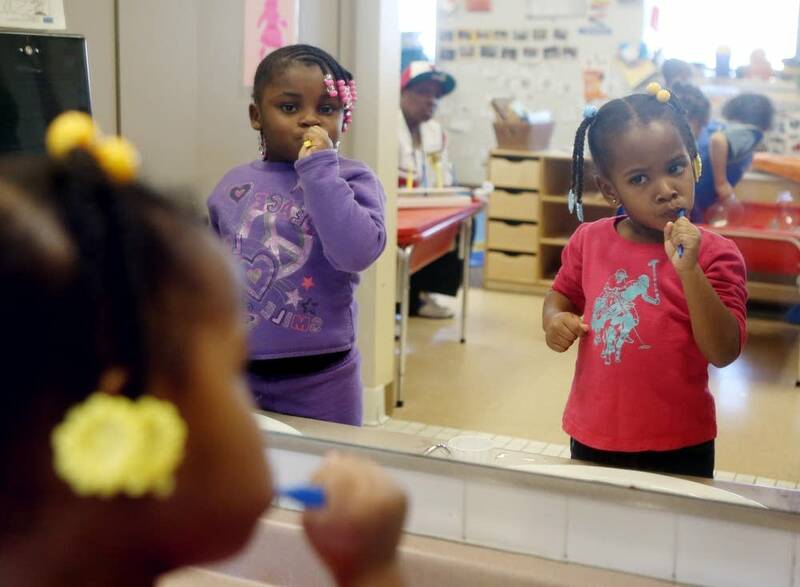 That's where 3-year-old Mariah learned to brush and swish during her morning routine. Then, the start of a "cleanup time" song cues her and other students to pick up their toys, a youthful acknowledgement that it's time to learn. Supporters of early childhood education say that many more children could benefit from such routines and that this could finally be the year that Minnesota takes educating young children seriously. Gov. 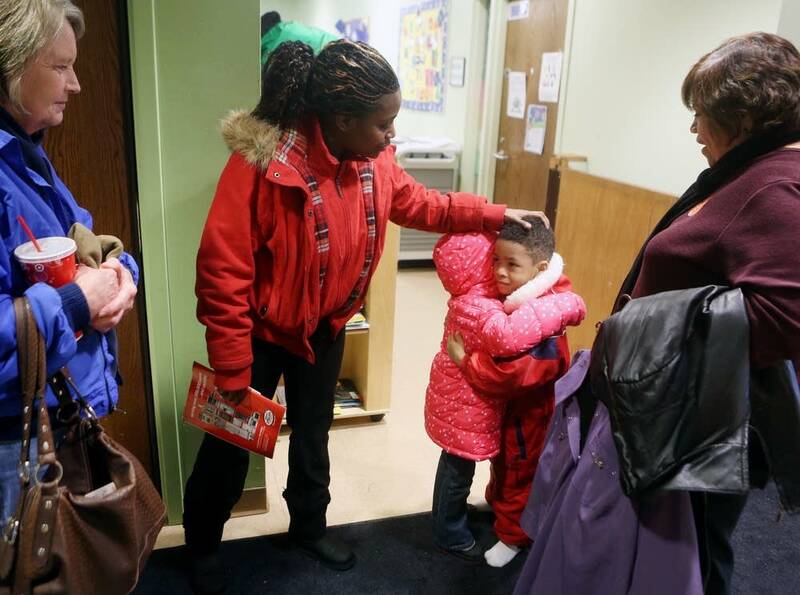 Mark Dayton wants to expand preschool and child care scholarships for poor children by increasing the current funding of $3 million to $25 million. That boost in spending, the governor said, would help an additional 10,000 children across the state. Parts of his plan are modeled after an ambitious experiment in St. Paul. Five years ago, business leaders rallied together to offer early-learning scholarships to low-income families, convinced that capturing young minds before they arrived at school would save money in the long run. The Bigelow Head Start program was one of several St. Paul preschools that participated in the pilot program that launched in 2008. Business leaders who formed what was then known as the Minnesota Early Learning Foundation raised several million dollars for the scholarships and implemented the rating system Parent Aware. One parent who benefited was Mariah's mother, Kandy McDonal. And about five years ago, McDonal used the scholarship to enroll her first child, Kandrick, in preschool. Head Start does not charge parents for tuition, and McDonal qualified to enroll Kandrick to a half-day program. But the scholarship enabled her to send her son to school all day. The fact that Kandrick could even go to school as a toddler opened his mother's eyes. "I didn't know what age they could actually start," McDonal recalled. "I thought he had to be 5. A scholarship meant, 'Thank you, Jesus.' It meant that he could go to school every day and do what he loves to do." Then a single working mom, McDonal also received home visits from parent mentors. They came bearing chidren's books that now fill a bookcase in her apartment. She said the visits also taught her to be patient with her son. "It helped me realize that Kandrick's not going to see things through my eyes," she said. "And my job as a parent is to see things through his eyes." One reason behind the push is a growing consensus that Minnesota needs to do a better job of boosting achievement for children of color. No one knows why the state has some of the nation's largest educational disparities between white and minority children. 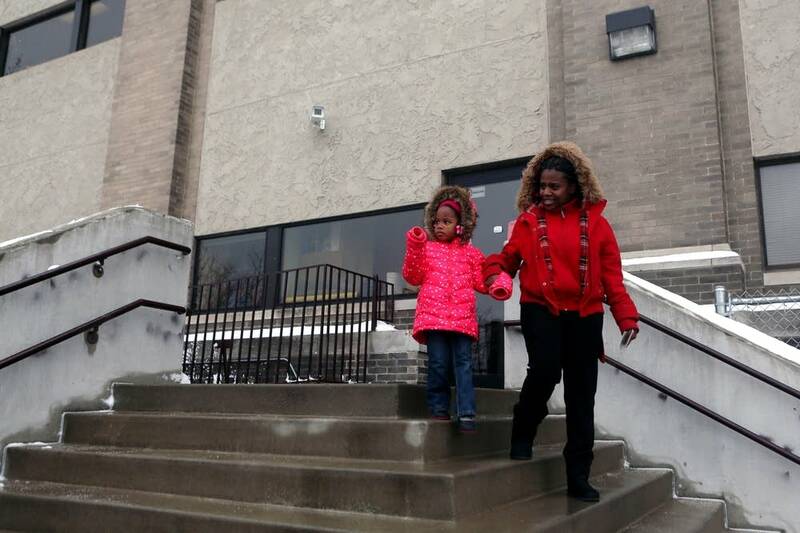 McDonal, who is black, said Kandrick, now 7, is doing well in a Roseville elementary school. She credits the early-learning programs with helping both of her children, and said they will help them overcome barriers later in life. "It's hard out here for people of color," McDonal said. "I wanted to make sure that education wouldn't be one of them." Education researchers say such programs make the most difference for students from poor or troubled households, children who are at most risk of starting school behind their peers. Megan Gunnar, director of the Institute of Child Development at the University of Minnesota, said it has taken 40 years for Minnesota to respond to evidence showing the benefits of intervening early in a child's life. "What we're talking about now has been in the science community for a very long, long time," she said. A newborn brain grows in much the same way as a house under construction, Gunnar said, noting that experience in the early years of life is what wires the basic architecture of the brain together. "Skills beget skills," she said. "The regions of the brain critically important for higher reasoning, thinking and academic functioning are affected by the way those early structures have gotten set into place. So the achievement gap begins very early." But early education has come under scrutiny recently, with some studies showing that the academic gains demonstrated by children enrolled in Head Start fade by the time they enter later grades. Still, Gunnar maintains that preschool improves the ability of children to reason, plan and control their behavior, benefits that can last a lifetime. Studies show that people who began school in early quality education programs are more likely to graduate from high school, go to college and find employment. They also are less likely to commit crimes and be incarcerated. 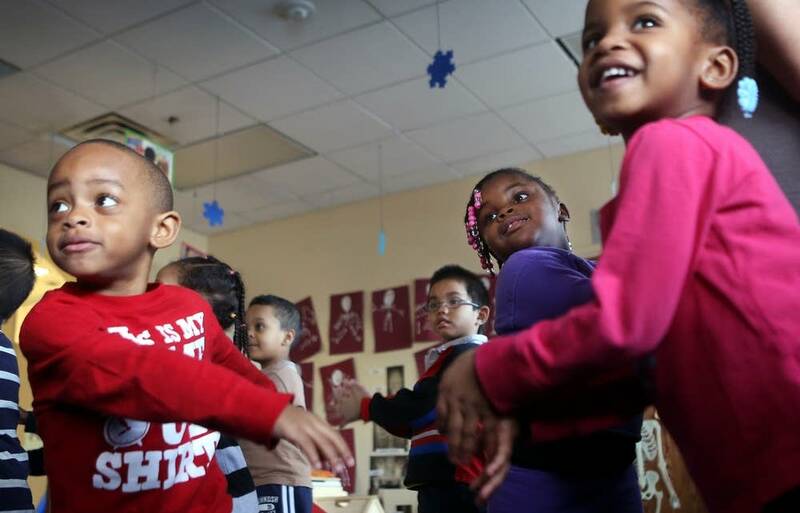 Economist Rob Grunewald of the Federal Reserve of Minneapolis and his former colleague Art Rolnick concluded that for every dollar spent on early education, the return is up to $16. Their research, first published a decade ago, led to the Minnesota Early Learning Foundation scholarship program. But Grunewald said the benefits can seem intangible to policymakers focused on immediate results. "To fully achieve this high return, you wait until kids are graduating from high school, they're earning more money, they haven't committed those crimes [and] we're producing less social assistance," he said. "It takes some vision in order to say, 'I'm going to make an investment today that's not going to pay out fully in a year or two. It's going to pay out in five, 10, 15 years down the road." At the state Capitol, there could be resistance from some conservative legislators who think early education amounts to government overreach, particularly in a tight budget year, when every program will come under scrutiny. The teachers union, Education Minnesota, supports pre-K programs, but union leaders say their first priority will be all-day kindergarten. "Kindergarten first, because that's where the foundation starts," said Tom Dooher, president of Education Minnesota. "We don't want an education donut hole. If you have 3- and 4-year-olds who go to this program, and they don't have all-day K, they're going to slide back academically and socially." The group also prefers that any efforts to expand early learning go to preschool based in school districts rather than the wide-ranging options for parents under the current state model. Parents can send their children to programs that receive a three- or four-star Parent Aware rating, including private and family-based child care facilities. Still, key legislators, including state Rep. Paul Marquart, who chairs the House Education Finance Committee, believe there's money in the budget for both all-day kindergarten and the early-education scholarships. "There's great momentum," said Marquart, DFL-Dilworth. With the backing of the advocacy coalition MinneMinds, lawmakers recently introduced bills in both the House and Senate that would support the pre-K scholarship model. Those proposals suggest spending more than $180 million over the next two years -- more than three times the amount Dayton has recommended.